Our toddlers first word was “haaawt” as we stressed the importance to him of staying away from the fireplace. So far he has shown no interest with crawling into the fireplace when it’s off but for many kids a fireplace is a magnet and needs to be explored. And the more parents say no, the more tempting it gets. 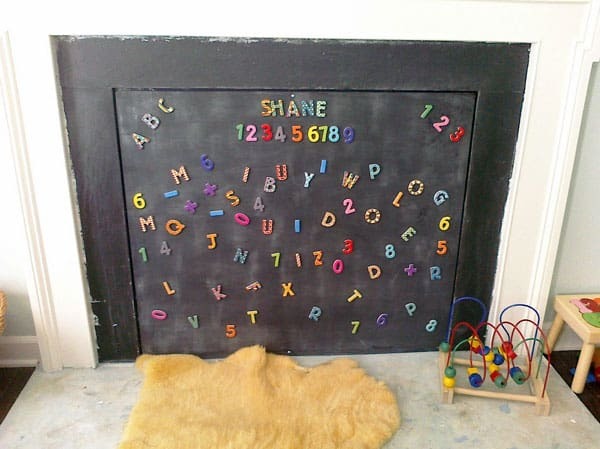 A friend of Lindsay’s decided that she was tired of the plastic gate barrier and wanted something that looked better and was functional so they made a magnetic chalkboard cover for their fireplace after a quick trip to their home center for supplies. 1. She had plywood cut at Home Depot to fit over the opening of her fireplace. 2. 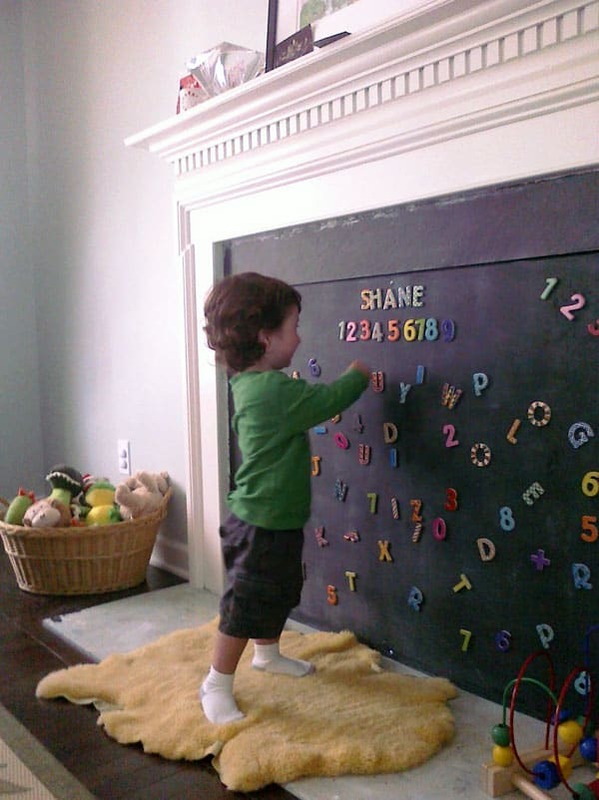 Paint plywood with several coats of magnetic paint,dry, then paint plywood with a few coats of chalkboard paint. 4. She plans to get the fireplace in tip top shape and use it again when her babe is older, but for now She is not using it at all. Do you like this idea??? 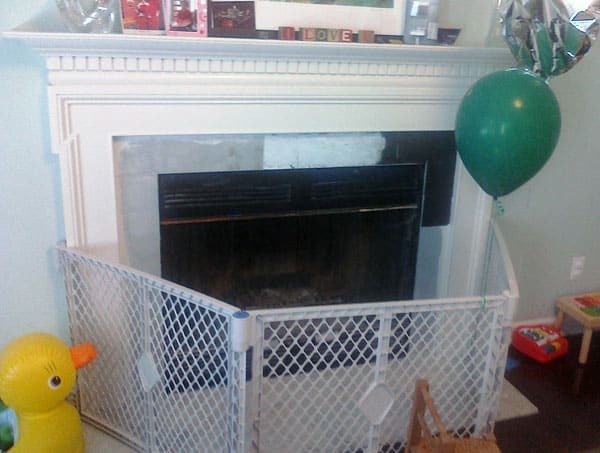 How did you teach your children to stay clear of the fireplace?